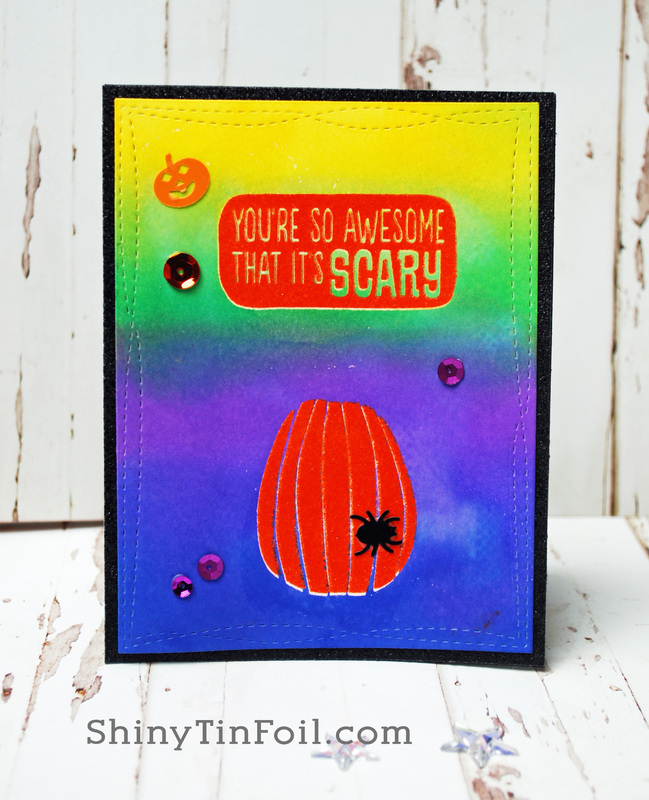 Stephanie Klauck made this awesome card using emboss resist. I did not buy this stamp set and now I am thinking I should have! Yikes, that happens to me all the time. Well I have come to the conclusion that I do not own many solid images. I really wanted to showcase the wonderful products from My Favorite Things (as it is their challenge, you know) and I was sorely missing solid stamps. I did find some Halloween sayings that were sort of solid. It ended up working out ok. 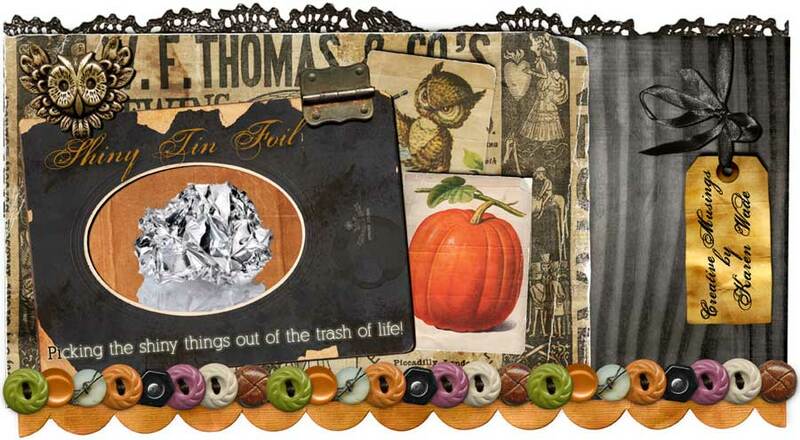 I found some Halloween sequins from Lucy so I was able to add a small pumpkin and spider. EEK!!! !